LOS ANGELES, California – Green Globe announces re-certification of The Palace Downtown in Dubai, United Arab Emirates (UAE). Since its opening in 2007, this luxury property has demonstrated leadership in adopting policies and initiatives to minimize its impact on the environment. “It is a true honour to be awarded the Green Globe Certification for the second consecutive time, one of the most prominent recognitions in the industry,” said Michael Sorgenfrey, General Manager at The Palace Downtown Dubai. “The certification is a testament to The Palace Downtown Dubai’s efforts to promote sustainability across all facets of the hotel’s operations. The Palace Downtown Dubai fully integrated a long term sustainability management system – energy and water consumption is strictly monitored and evaluated. Awareness among guests is promoted through a comprehensive communications strategy, and ‘Make the Difference’ cards are placed in all rooms. A special ‘Go Green Committee’ was established to facilitate and maintain environmental initiatives. The property actively supports the community and participates in charitable programs, such as Earth Days, Cause Walks, Clean the World Day, and blood donations. At a regional level, the ‘Dubai Green Economy Partnership’ program empowered Dubai’s position as a hub of sustainable business. The adoption of green technologies and best practices in environmental protection across key sectors from energy and transportation to buildings and resource management has proven economic and ecological feasibility in the area. The audit for The Palace Downtown Dubai was conducted by Farnek Avireal, lead sustainability consultancy in the MENA region. For additional information, please contact Sandrine Le Biavant, e-mail: Sandrine.LeBiavant@farnek.com . Built on the edge of Burj Lake, The Palace Downtown Dubai is a harmonious blend of Middle Eastern heritage and contemporary Dubai, with 242 guest rooms, including 81 magnificent suites. 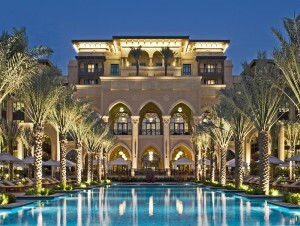 Located on the Old Town Island, The Palace Downtown Dubai is a resort within the city, at the heart of a traditional Arabian village, faced with a striking symbol of modernity. The luxurious hotel is ideally situated in the Downtown Dubai area, within short distance from all major business, financial institutions, and leisure attractions. The Palace Downtown Dubai is directly connected with the Souk Al Bahar, facing The Dubai Fountain, the world’s tallest performing fountain; Burj Khalifa, the world’s tallest building; and just a step away from The Dubai Mall, the world’s largest shopping and entertainment destination. 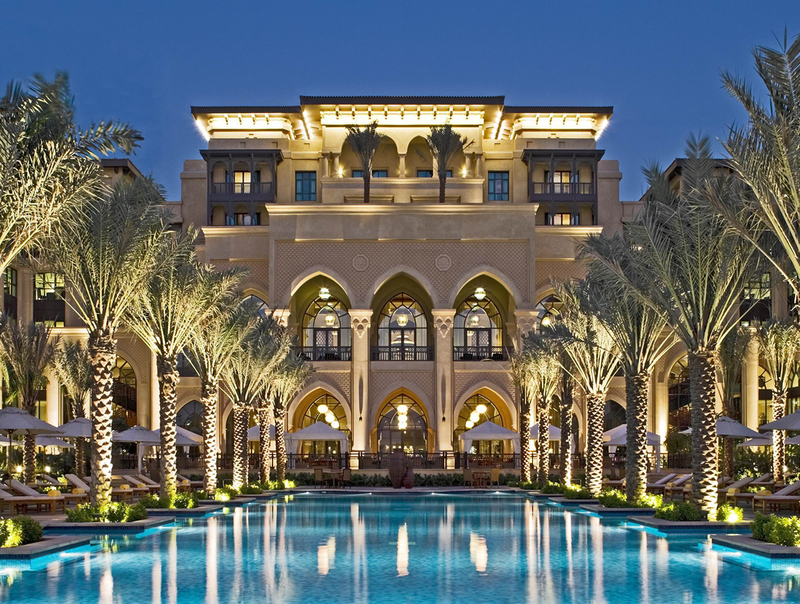 The Palace Downtown Dubai hosts three international restaurants, a luxury spa, recreational amenities, a large pool, and impressive meeting and event facilities. Green Globe Certification is the worldwide sustainability system based on internationally-accepted criteria for sustainable operation and management of travel and tourism businesses. Operating under a worldwide license, Green Globe Certification is based in California, USA, and is represented in over 83 countries. Green Globe Certification is a member of the Global Sustainable Tourism Council, supported by the United Nations Foundation. For information, visit www.greenglobe.com . Next articlePlan to topple Burj Khalifa’s tallest building record back on trackPakistan might after all boast of the world’s tallest building in the coming years. Real estate developers Bahria Town has signed a memorandum of understanding (MoU) for $15 to $20 billion with US investors Thomas Kramer, Pakistan’s The News reported on Monday.